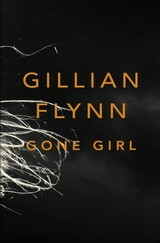 A while back I read and reviewed Gillian Flynn’s bestselling thriller Gone Girl . As it turns out, the book is being made into a movie. I’m not surprised – it was successful and that’s all it usually takes. But in this case, I love the idea – the book is so solid, the plot to well woven and the characters so much evil fun that in the right hands, it could be a great movie. The most fun part about anticipating any book to movie adaptation is playing Home Casting Director. Who do we think should be in Gone Girl, the movie? Nobody plays this game better than people who love the book. We have two major and several minor roles to fill. Let’s do it! Ryan Gosling – He doesn’t do much for me, but I know he’s a fan favorite for just about everything. Jake Gyllenhaal – Now that’s more like it. Good looking, good actor, can play both good and bad guy roles with equal ease. Chris Pine / James Marsden – I sort of think of them as the same guy – generically good looking and very, very all American. But does either one have the acting chops to make the role as powerful as it should be? Joseph Gordon-Levitt – Not the most apple pie choice, but a fantastic actor. He’s ridiculously good looking when he chooses to be, has all sorts of skill in portraying complex characters and would give Nick the gravitas he needs to make the movie work as a thriller instead of a twisted rom/com. Bring it on, JGL! January Jones – Sure, she’s all housewifey on Mad Men, but is there more under there? She’s gorgeous in a non-threatening kind of way, which is frankly perfect for the role. I don’t know if she can pull off the complexity, though. Julia Styles – Sassy. That’s what Julia Styles is – sassy. Amy is also sassy. Could be a match made in heaven. Mena Suvari – She hasn’t been in much that I’ve seen recently, but she has a bad girl air about her. But can she play sweet as well? Jessica Chastain – A hot commodity just now. She has the looks and I think she has the goods to back them up. proven ability to act beyond her appearance. She also happens to be the same age as Joseph Gordon-Levitt. How handy! Who should play the supporting roles? Home Casting Director for Gone Girl: The Movie! Once we have enough suggestions, we’ll make a nice little poll to see who is the fan favorite (and we did! Here are the poll results). Book lovers rule! If you haven’t read the book yet, click the Amazon link below and pick up your copy – you won’t regret it! Well, news is that Ben Affleck is in talks to play Nick Dunne. I haven’t completely decided how I feel about this. He isn’t quite how I picture Nick, but he may have the chops to own the role as long as he doesn’t have a bad flashback to the days of Gigli and Jersey Girl. Also, David Fincher is directing, which is obviously completely fabulous. The trailer has arrived! Well, the first one – I suspect there will be more. But check it out – do you hate it or love it? If you loved Gone Girl, why not try these books next? Nick Dunne has to be good-looking and a little bit of a lunk. I'm thinking Christian Bale. I've always pictured Amy as Naomi Watts or Angelina Jolie — if she doesn't vamp it up. Amy's parents: Susan Sarandon, David Strathairn. I can't think of an actor for the other characters. I guess Margo could be played by a brunette Kaley Cuoco? Christian Bale's teeth annoy me (but that's a discussion for another day). I can see him being a good pair with Naomi Watts. Love Susan Sarandon for Amy's mother! Suggestions are starting to come in – what do you think of Amy Adams as Amy or Paul Walker as nick? A couple more – Zoey Deschanel as Margo and Blake Lively as the local "friend" of Nick. Love the idea of Blake Lively! And we have a Kirsten Dunst for Margo and an Anne Hathaway for Amy. I'll admit that I just love JGL, but I do have respect for his acting (in addition to his cuteness). I picture Amy as someone sort of small and waif-ish, so right now I'm loving on either Portman or Naomi Watts. How could I not have thought of this? Bradley Cooper for Nick! Jack Aiello is a genius. January Jones for Amy, Jake Gyllenhaal for Nick would be PERFECT imo. Susan Sarandon as Amy's mother is a great idea as well! I do love the idea January Jones as Amy (and Jake Gyllenhaal as anyone). I wonder if she could shake the image of Betty Draper? Ooooh and Maggy Gyllenhaal could play Margo. Maggie Gyllenhall would make a really good Margo! There is a perfect song for the movie- listen to it on susan boyles cd: someone to watch over me… Song is mad world… Listen to lyrics amy could be have wriiten them! Thanks for the hint – I'll check it out! I'm in love with the idea of Ben Affleck for Nick and Charlize Theron for Amy!